Natural Eggshell Membrane (NEM) is an innovative nutritional supplement that brings fast relief to people suffering from the pain, stiffness, and impaired mobility of osteoarthritis and other joint health problems according to the results of a recent study in Germany. NEM is a natural source of collagen, chondroitin, and hyaluronic acid, each of which is known to support joint health. Much of the benefit with NEM is thought to be the result of its nutrients boosting the production of critical joint molecules. In addition, NEM has also been shown to reduce the production of various inflammatory compounds including interleukin-1 beta and tumor necrosis factor alpha (TNF-a), two primary mediators of inflammation. The clinical research on NEM began with a pilot study published in patients with mild-to-moderate joint pain received 500 mg NEM daily. After just seven days, participants had an average 26 percent improvement in pain and 28 percent improvement in flexibility. After 30 days, they had an average 73 percent reduction in pain, with 45 percent of participants reporting they were completely pain-free. They also had a 44 percent improvement in flexibility and 76 percent less pain through their range of motion. No adverse side effects were reported. To further support the safety and efficacy of NEM in osteoarthritis, a double-blind, placebo-controlled clinical trial was conducted involving 67 patients with osteoarthritis of the knee. They received either 500 mg of NEM daily or a placebo. After only ten days, those receiving NEM supplements had a 12 percent reduction in pain and 17 percent less stiffness. At the end of the 60-day trial, those receiving NEM had an average pain reduction of 15 percent, and 31 percent less stiffness. One third of the patients receiving NEM experienced a reduction in pain of 40 percent or greater, and more than half had at least 50 percent less stiffness. No adverse side effects were reported. A new study was conducted at six different clinical sites throughout Germany to evaluate the efficacy and tolerability of NEM for the relief of the pain and discomfort associated with osteoarthritis of the knee and/or hip. Forty-four patients were treated with a daily dosage of 500 mg of NEM. Clinic visits were scheduled for subjects at study initiation and at 60 days following the onset of treatment. Statistical analysis revealed that supplementation with NEM produced a significant pain relieving effect within 10 days. On average, nearly one-quarter of the subjects experienced a 30 percent improvement in pain-related questions within 10 days and almost 20 percent of the study population experienced a 50 percent improvement in pain-related questions by the end of the study (60 days). Significant improvement for stiffness was noted at 30 and 60 days after treatment. An indication of the pain relieving effect of NEM was a drop in analgesic use. For the 30 days prior to study commencement, patients consumed on average 7 doses of acetaminophen. Analgesic use had dropped considerably to 2.43 doses per 30 days after 30 days of supplementation with NEM. No side effects were noted with NEM. Osteoarthritis of the knee and hip is extremely common in North America. Unfortunately, most people look for a quick fix by taking ibuprofen, aspirin, Celebrex, or other nonsteroidal anti-inflammatory drugs. This approach is extremely unwise given the side effects of these drugs including their negative effects on cartilage repair. 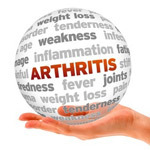 A much more rational approach is to use NEM, glucosamine sulfate, hyaluronic acid, and/or other natural products with proven safety and efficacy in osteoarthritis by addressing the underlying factor -- decreased formation of cartilage components.